I really enjoyed this performance and I have many positive things to say about it. Firstly, the lighting was very clever, the change with each song emphasised the sunny atmosphere and tempo of the beautiful Cuban music. I would have liked, though, to have been watching it in an outdoors festival setting. The hot, heatwave evening light would have been at home with the music – even so, I still felt as if I was in Havana. The musicians really expressed their songs through their lively movements and dances. The lead vocalist used different Cuban dance moves with each song and showed us some dances like the Samba and Rumba. The atmosphere of the band, the music and dance made it hard to sit still. I was dancing in my seat! Dunia Correa, the lead vocalist had an incredible soaring voice which included very Cuban tongue rolls and cha cha chas. She sung with great confidence and passion for the music. It sounded like she had been singing all of her life and had grown up with the music. She creates a very sunny party atmosphere that makes you feel warm inside. She explained to the audience the meaning of the music. Every time, before they played a song, she would encourage us to dance. She showed us which dance to do with each song and how to do it. Many people got up to dance, the atmosphere was lovely. It was great fun. 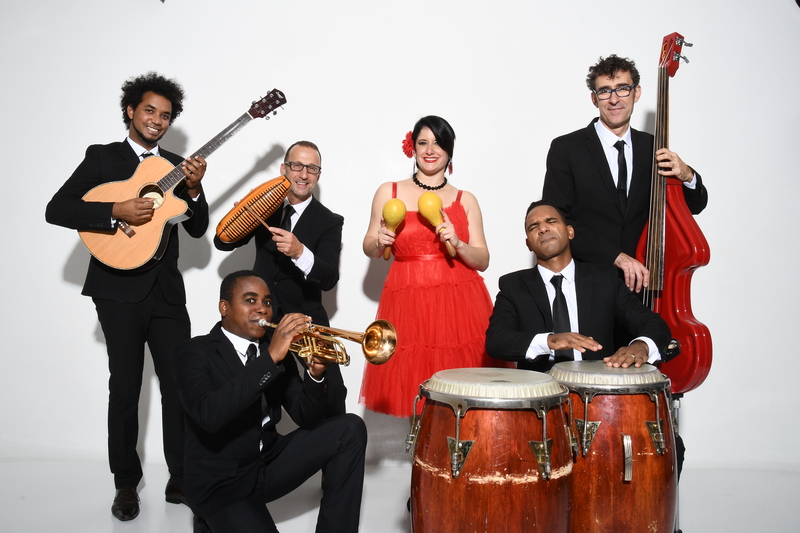 The musicians play authentic ‘Son Cubano’ which originated in the streets of eastern Cuba. This is the real thing! The musicians had the opportunity to play their instruments and display their talents during a solo each. Alberto, the trumpet player, had an incredible ability to get to such soaringly high notes astounded me. He and the trombone player were both incredible. But my favourite of the solos had to be Frank playing the trés, his fingers moved so fast and it sounded spectacular. I really enjoyed this performance by Son Yambu and if I get the opportunity to see them play again I will and I recommend you do too. I personally love Cuban music but if you haven’t seen it or heard it before or if you feel it’s not for you, listen to the best- Son Yambu.